"That's it! I'm quitting Facebook!" Have you ever found yourself uttering the above words - or at least, thinking them in your head? 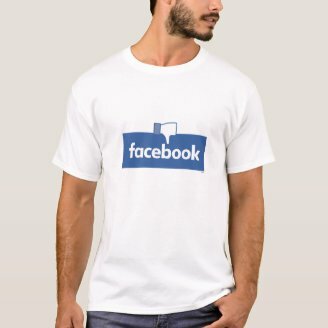 Or have you already quit Facebook and wish your friends would follow suit? While I haven't completely quit Facebook myself, I have cut back radically on how and when I use it and overall it's been a great positive change for me. On this page I'll talk a bit about my reasons for wanting to stop using Facebook, share other articles on quitting and give you a chance to chime in with your opinions on the subject. I'll also share some information on a great browser plug-in, F.B. Purity, which can help make your Facebook experience better and more manageable. I'd like to know what you think: Is Facebook is here to stay and a necessary form of social media? Or is Facebook a terrible time sink that's only tearing friendships apart instead of bringing us closer together? Are you considering quitting Facebook? Yes, I've been considering quitting Facebook entirely. I've been thinking about cutting back on Facebook, but not quitting it completely. I've already quit using Facebook. I tried to quit Facebook before...but something keeps luring me back. Are you kidding? I could never give up Facebook! I've never used Facebook (and don't intend to in the future). Around the end of 2012 I decided I needed to take a massive break from using Facebook regularly. It was a culmination of many factors, the last of which was the vitriol, anger and arguments spewing forth all over my Facebook "news feed" page after the Sandy Hook Elementary School shooting. I just had had enough with my friends tearing each other apart over the issue of gun control, school violence and everything else...coming on the tail of the already heated US election season it was just the last straw for me. Taking that into account with all of the other things I really disliked about Facebook in general, I realized it was doing me very little if any good at all to keep using the site regularly. We've all heard the old rule of etiquette that one should not discuss religion or politics with friends or family "at the dinner table". 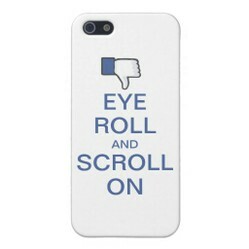 I would say that rule applies equally to Facebook, because it almost never ends well. I've seen formerly good friends get into heated arguments about both politics and religion on Facebook that ended with nothing short of personal insults, defriendings and hurt feelings. Particularly in the United States today, we are living in a nation with very strong political and religious divides and those clashes are just amplified and quickly blown out of all reasonable proportion on Facebook. Everyone wants to scream and "share" their political opinions on the site, yet I've yet to hear from anyone who has actually had their political point of view changed after a Facebook argument. 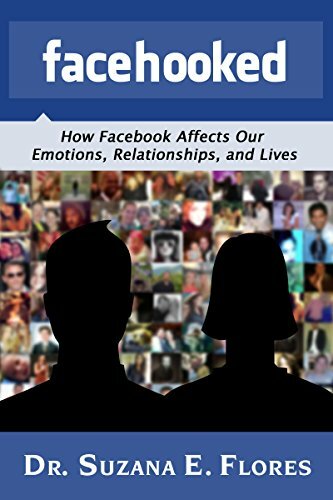 Do you think Facebook is good or bad for our relationships? Overall good - I think Facebook brings us together more than it causes any problems. Overall bad - I think we'd be better off without Facebook in our lives. "It's my Facebook page - I'm going to say whatever I want!!" Well, that's all good and well. But when you do that, people who disagree with you are very likely to leave a comment. There's no way to completely disable comments on a Facebook "Wall post", the way you can on, say, a personal blog or LiveJournal post. Yet it's also difficult (if not downright impossible) to make easily viewable any "commenting policy" you might have. Some people are perfectly happy to get into arguments on their Facebook posts; others will go into a rage if you disagree with something they post and tell you "don't argue in my space!" But who's space IS it? Even if your Timeline is set to friends-only privacy, you're still sharing with an audience of upwards of several hundred people, and someone out there reading is likely to disagree with you. This ties in to the matter of public versus private...do people have any sense of privacy any longer thanks to social media, and Facebook in particular? People feel compelled to "share" every minute detail of their daily lives now, from what they had for breakfast to complaining about their jobs, problems with an insurance company, or their child's latest potty training adventures. Not only is some of this just not the kind of information I need to know about my friends, it can lead to potential workplace and family problems as well. We know today that employers are looking up job applicants on Facebook, to see what they may be doing in their private lives. Some jobs are even demanding password access to look into someone's messages and/or friends-locked posts. People have lost their jobs and even faced lawsuits over the things they've posted on Facebook. And let's think seriously about the things and the ways over-sharing parents put their children out there for the world to see and comment upon, before those children can have any say in the matter. Photos on the internet have a way of lingering around forever - everything from that ultrasound scan to "baby's first poo in the potty". Not only is it embarrassing to think you might end up being mocked on a site like STFU, Parents one day, there is also the matter of privacy and protection. If your Facebook is set to public, complete strangers could be learning things about your life, where you live, and your children that you really wouldn't necessarily want them to know. 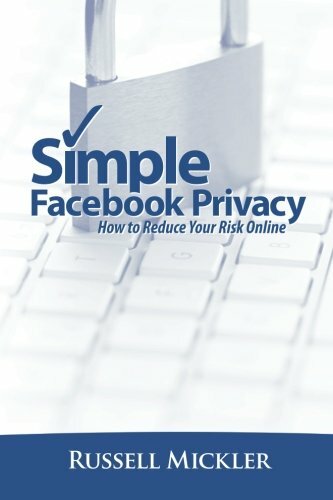 The more you even want to keep your Facebook private and locked, the harder it seems to become. I have many reasons for wanting to keep the majority of my Facebook posts, photos and interactions locked to friends only, yet it seems to be a constant battle to keep those settings in place. For instance, several months ago I wanted to share publicly one photo taken at an event I'd attended with several others. I didn't realize for weeks afterward that after allowing that one mobile upload public, Facebook "automatically" changed my privacy settings so that all posts made after that were publicly viewable! It was a long wasted hour correcting this mistake. It also doesn't help that so many other websites and applications try to force you to connect your Facebook profile to them, even when it's information you don't necessarily want shared with Facebook. For a time the music service Spotify was only allowing you to use the application as a new user if you linked it to and registered with your Facebook account. At least after considerable complaints they reversed that decision in September 2012, although it is difficult still to get full functionality from the program without linking it to your Facebook account. Many people end up creating fake or "sockpuppet" accounts so they can use certain applications and programs, without being forced to link it to their "real" Facebook identity. You know those "Share this if you love your mother", "Like and share if you hate cancer", or"You'll never believe this video" posts that spread around your friends feeds like wildfire? Well, many of them aren't just harmless space killers; often they are created by people looking to accumulate Likes and Shares for a page so they can sell it for money. "Why 'Liking' Facebook virals makes scammers rich" is an article you should read to learn more - especially before you hit that Like button on the next meme you see on your news feed. 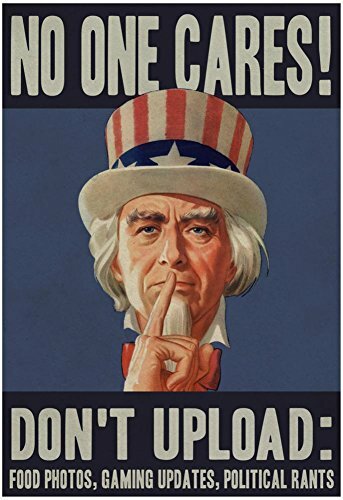 Also consider that many of the memes that go around are spreading false information, rumors and chain mails which have been debunked on Snopes previously - sometimes disproven years or decades before! There's no need to keep spreading false information around like that, such as the mis-attributed rant against Islam that's NOT by Bill Cosby, the panic that Facebook would start charging users, or anything else you might find on Fake Memes Debunked (on, of course, Facebook itself). This can happen just about anywhere on line, but it seems so much harder to avoid on Facebook than on other social media platforms where one has more control or ability to filter/screen what we see. It's been widely reported on how Facebook can be a "minefield" for people struggling with infertility or child loss. At least one study has suggested that Facebook may amplify eating disorders and poor body image. Another recent study reports that "people who spend a lot of time scrolling on Facebook are more socially isolated and more frequently depressed than those who do not." All in all, I know I have personally found my state of mind to be better and clearer the lesstime I end up spending on Facebook. Almost inevitably, while I am curiously finding out what my friends are up to, something pops up I just didn't need to see, or a meme or post that angers me, or a conversation that started out a friendly debate takes a quick turn into ugly-land. For about a month I avoided Facebook completely except for updating my personal writing link page, and one or two musician Facebook accounts I follow. For the most part I really didn't miss the rest of it at all, I just ended up feeling guilty because several friends had important/difficult life events happen to them which I missed hearing about...because they never shared or talked about it anywhere other than Facebook. Artist Man Bartlett describes why and how he deleted his Facebook account. 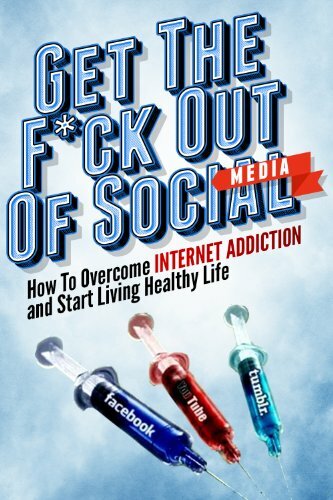 Facebook may be dominating social media, but it doesn't have to dominate your life. Quitting Facebook can and will improve your life by forcing you to nurture relationships and create new bonds. One in five online adults who have had a Facebook account at one time no longer use the social networking site, according to a report released Tuesday by the Pew Internet Project. One of my resolutions for 2014 was to quit Facebook. I realized how much Facebook has been messing with my mind. I’m no longer on Facebook. I was for many years, but I couldn’t put up with it any longer, as I derived zero pleasure from it, yet couldn’t stop looking at it. F. B. Purity can go a long way toward dealing with some of the more aggravating aspects of Facebook, but it isn't a complete "cure" for the "disease". 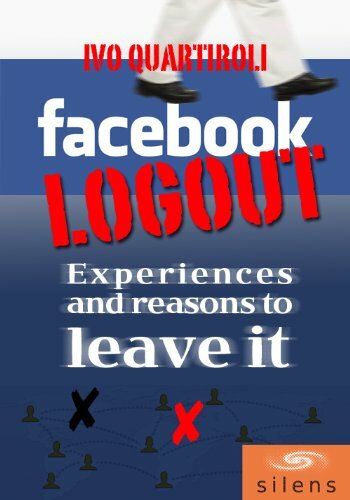 Even with it installed, you may find that quitting Facebook is the only way to get your life - and sanity - back. 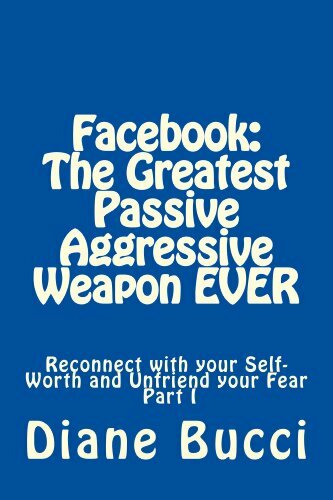 But it might be worth a try for you if there are some things you want to be able to use Facebook for, without the aggravations caused by everything (and everyone) else. I also worry about parents putting their children's photos and other information on Facebook and other social media programs. It might cause harm now or 10 or 20 years in the future. And there's also a lot of cyber bullying on Facebook. I monitor some of my friends' and family's Facebook pages, but maybe only once every couple of weeks; I can visit their page and keep scrolling until I've read all the latest news. I do belong to some Facebook groups, but most of them are private. I rarely post on the public ones, although I do read through the comments if they're interesting. You bring up some good points on how Facebook can be abused and also hurt you in the future when you apply for a job. It's best to use an alias or nickname.